Princess Evie is crazy about her ponies. 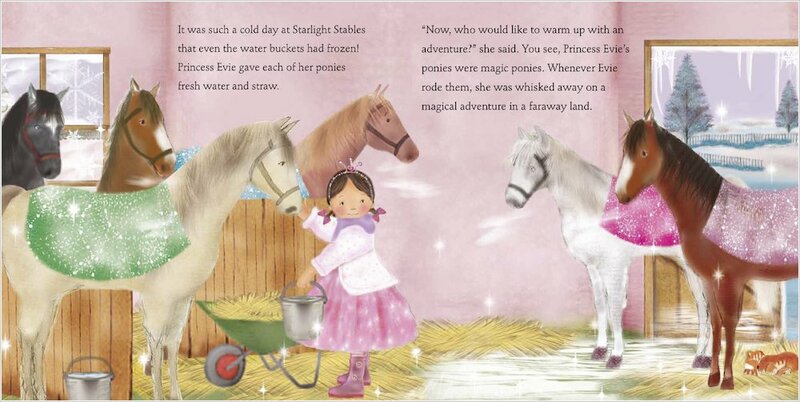 But Evie’s ponies aren’t like any other ponies – oh no! Her ponies are magic ponies who whisk her away to faraway lands! 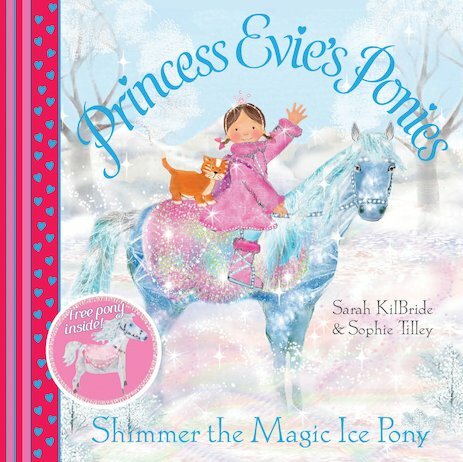 Enchantment is definitely in the air on the day Evie opens the stable door and saddles up Shimmer the Magic Ice Pony, whose beautiful pale coat gleams with dazzling reflections. 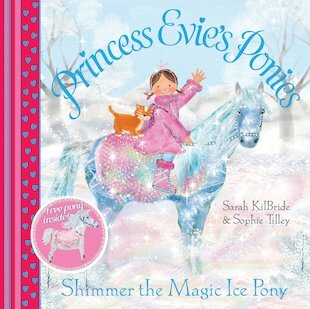 Soon Princess Evie and Sparkles, her kitten, gallop off on Shimmer’s back – into a winter world of icy magic, where everything glitters and shines! 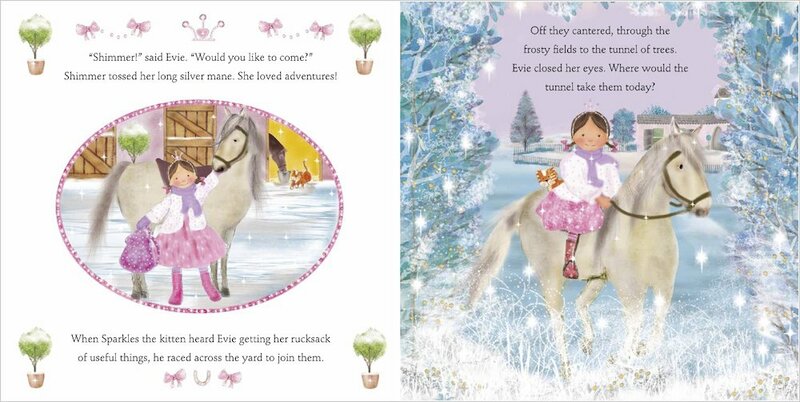 Enter a snowy wonderland in this gorgeous storybook, which includes a cardboard model pony. Colour Pippa and her Princess Pony friends.